CODART considers it of great importance for the data of its members and of visitors to the CODART website to be handled with due care. The CODART website has therefore been designed with a view to protecting your privacy. In signing up to CODART’s Notification Service, you grant CODART permission to send you e-mails on a regular basis. Depending on your personal settings, the CODART Notification Service may send you a monthly, weekly or daily e-mail about news and/or events published on the CODART website. In addition, users of the Notification Service can opt to receive a biannual notification when a new issue of the CODART eZine appears. If you no longer wish to receive any e-mails from the Notification Service, you can use the link Personalize your subscription to the free CODART notification service, which is included in each e-mail, to unsubscribe from our services. All e-mails from the Notification Service are handled by MailChimp. By signing up to CODART’s Notification Service, you grant CODART permission to send MailChimp the personal data that you have provided on the CODART website, including your name, e-mail address, and gender. CODART and MailChimp store these data as long as is necessary for providing you with the e-mails related to the Notification Service. 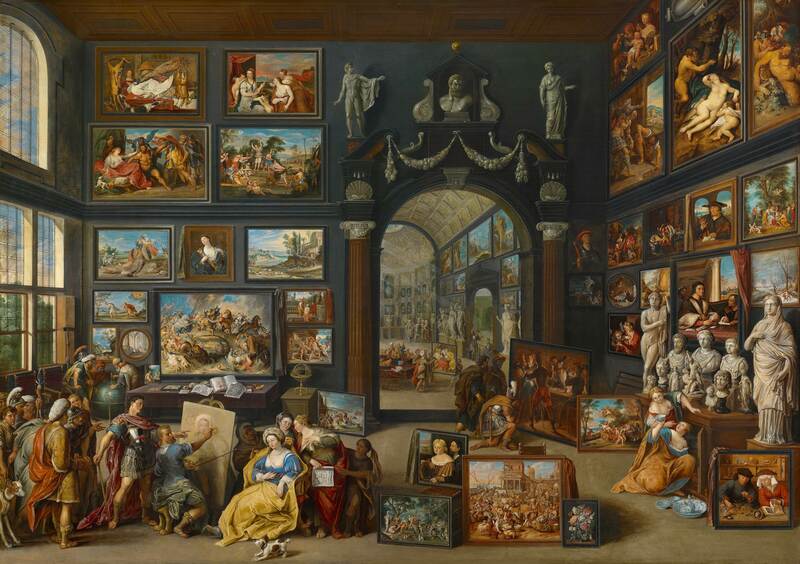 In applying for membership of CODART on this website, you grant CODART permission to regularly inform you about activities and events organized by CODART or its affiliated partners. If you no longer wish to receive any information from CODART, you can cancel this service at any time by sending an e-mail to webmaster@codart.nl or by unsubscribing. CODART uses MailChimp to handle all group e-mail. In applying for membership of CODART on this website, you grant CODART permission to send MailChimp the personal data that you have provided on the CODART website, including your name, e-mail address, and gender. CODART and MailChimp store these data as long as is necessary for providing you with the e-mail service related to the membership of CODART. In applying for membership of CODART you agree to the inclusion of your professional contact details on our website for the duration of your membership. If you wish to exclude specific details from our website, you can send an e-mail to webmaster@codart.nl. In registering for a CODART congress, you agree to the inclusion of your professional contact details in our congress documentation, both in the congress folder and permanently on our website. CODART only collects names, addresses, telephone numbers, and other personal data that are provided voluntarily by visitors to the CODART website who have applied for membership of CODART. CODART will not supply your personal, non-public data to third parties without obtaining your prior express consent. CODART values the privacy of its members and online visitors. We have therefore done our utmost to comply with the 2016 General Data Protection Regulation (Algemene verordening gegevensbescherming).